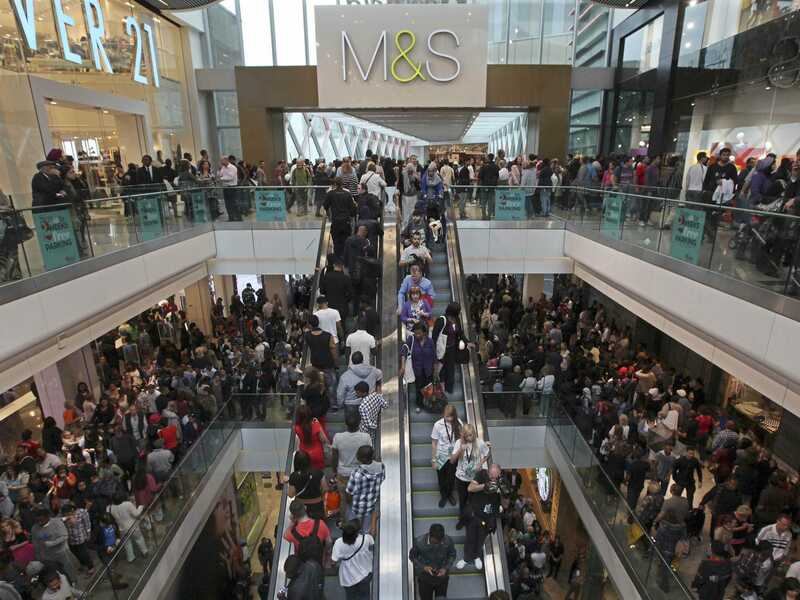 British retail sales grew much more strongly than expected in October after a heavy fall in September, driven by purchases of furniture after the country’s housing market picked up speed earlier this year, official figures showed on Thursday. Retail sales volumes rose 0.8 per cent on the month after a fall of 0.4 per cent in September, which had been their weakest performance since January as mild weather put shoppers off buying winter clothes, the Office for National Statistics said. Clothing sales remained weak as mild weather continued in October. Total sales rose 4.3 per cent in October compared with the same month last year, the ONS said. Economists had expected a rise of 0.3 per cent on the month and a gain of 3.8 per cent on the year. In the three months to October, a smoother reading than the often volatile monthly changes, sales rose 0.4 per cent, picking up speed from a gain of 0.2 per cent in the three months to September. Consumer spending has driven Britain’s strong economic recovery which began in mid-2013 and is likely to remain its main engine as demand for exports remains weak due to the slowdown in the eurozone. Wages are showing some tentative signs of recovery after growing by less than inflation for much of the period since the financial crisis, and consumer prices are rising by little more than 1 per cent. But Bank of England policymakers have questioned how long private demand can continue to offset weak demand for exports and the effects of public sector spending cuts, according to minutes of their November meeting which were published on Wednesday. The ONS said furniture sales were a big driver of sales in October, possibly reflecting a six-month lag between purchases of household goods and the number of mortgage approvals and house purchases which were growing strongly earlier this year but have since cooled down. Clothing and footwear sales rose by a monthly 0.5 per cent in October, failing to make up for a slump of nearly 6 per cent in September. Mild weather last month meant clothing sales remained weak but footwear sales picked up, an ONS official said. Prices in stores fell by 1.5 per cent in October compared with a year earlier, their biggest fall since 2002. Prices in food stores showed a rare fall for a second straight month, probably reflecting a price war between supermarkets as well as falling global commodity prices. Eastern Ukraine Fighting Kills 13 Per Day Despite Ceasefire: U.N.